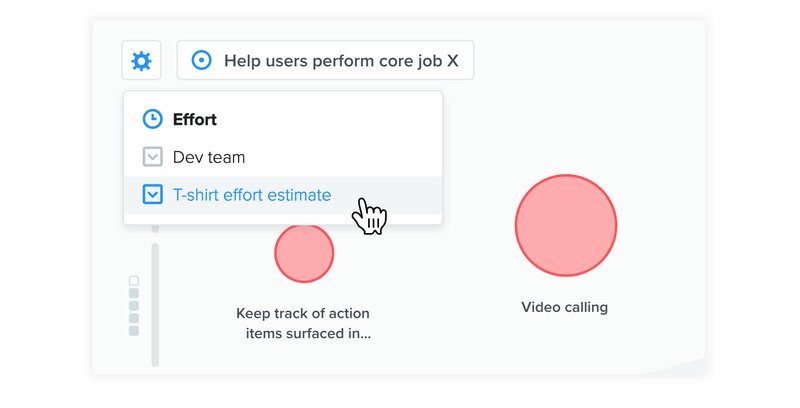 On your Features board, you can score features based on how valuable they would be for helping you achieve certain objectives. But how do you factor in effort estimates to decide which features would be feasible to build? That's where the Prioritization matrix comes in. The matrix is a grouping option on the Features board that lets you visualize the value/effort tradeoff across all an objective's features. It makes it easy to spot low-hanging fruit features (high-value, low-cost). Select an objective to see all the features that have been added to it. Drag features horizontally to update their effort estimates. Reference bubble size, representing each feature's User impact score. Set each feature's final priority to the objective, and add it to a release. With final priority set, you can then update a feature's status/release to indicate when it will be worked on. See all your features grouped by objective on your Roadmap. 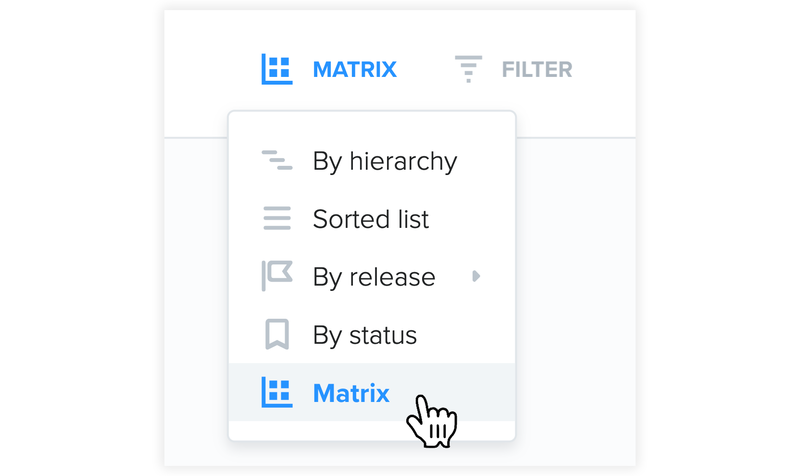 If a feature's value or effort data is updated somewhere else in productboard, or even in a synced story points field in Jira, it's position on the matrix is updated in real time. In addition to the standard effort field, you can create your own custom dropdown fields to capture additional measures of effort and display these on the horizontal axis of your matrix. 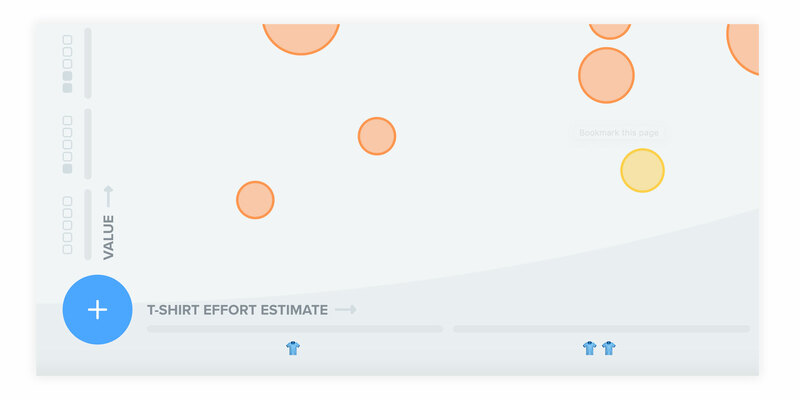 This could be especially helpful for tracking preliminary high-level effort estimates (e.g. t-shirt sizes) before receiving final estimates.